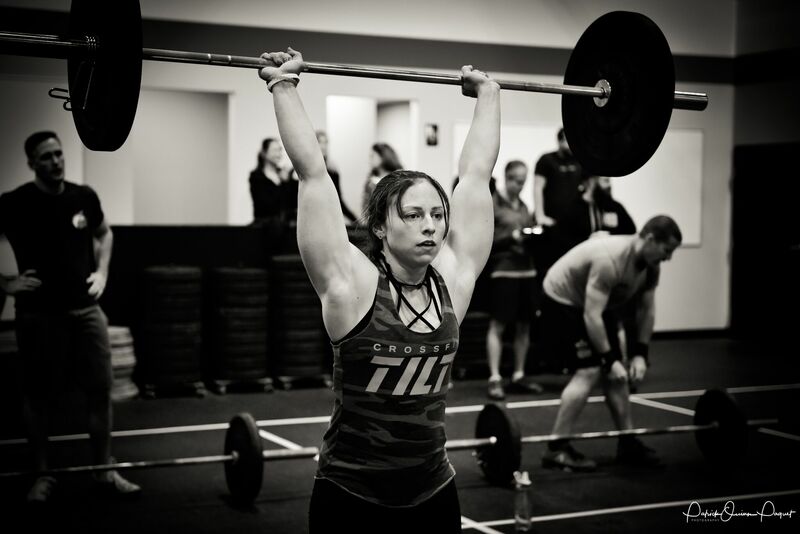 We have a new coach at CrossFit TILT II – Erin Kiely! After coaching Tennis for over 6 years, and graduating college with a degree in teaching History, I knew I wanted to spend my life helping others learn new things that would improve their lives. It was not until my first CrossFit class in the summer of 2013, that I realized I had found my passion. Since that realization, I have been a Personal Trainer, Spinning instructor, and CrossFit Coach while never feeling like I “work” a day in my life. It has always been so important to me to give 110% in everything I put my mind to, and the atmosphere at CrossFit Tilt II is no different. Being surrounded by those who strive to be the best they can be, who are always hungry to learn, and who never give up, constantly motivate me to make every day better than the last! I am extremely lucky to have the opportunity to share what I’ve learned and how much I’ve grown through CrossFit, and hopefully can motivate others to realize just how much they are capable of achieving. With the 2017 CrossFit Games Open behind us, some of us have our eyes on performing well in 2018. However, many of our goals have nothing to do with that and remain focused on overall health and well being. While we didn’t see Ring Muscle Ups this year, they are still a test we will inevitably encounter in competition. If our goals lie in competition, we will put you on the right track to become more proficient at this movement or possibly get our first muscle up. If our goals are focused outside of the gym, burpee pull-ups and burpee chest to bar pull-ups will help us achieve these while avoiding the inherent risk of a movement like the ring muscle up.